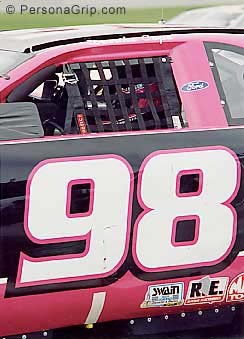 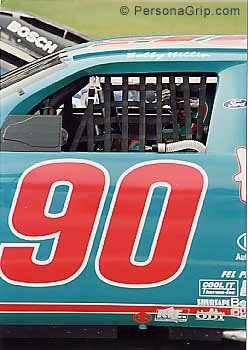 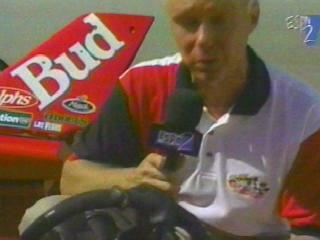 In '97 Dave Villwock suffered a serious crash that severed fingers. Ed Dellis was called to Seattle to custom-mold a steering wheel for the Miss Budweiser Unlimited Hydroplane race boat. Dave Villwock, who was missing two fingers from the crash, told Dellis that the boat was now easier to drive with the PersonaGrip custom molded steering wheel compared to the standard steering wheel he used before the accident. A good close-up of the mold can be seen in this clip, and it shows a large platform that Dellis designed for Dave to use as leverage when turning the steering wheel. 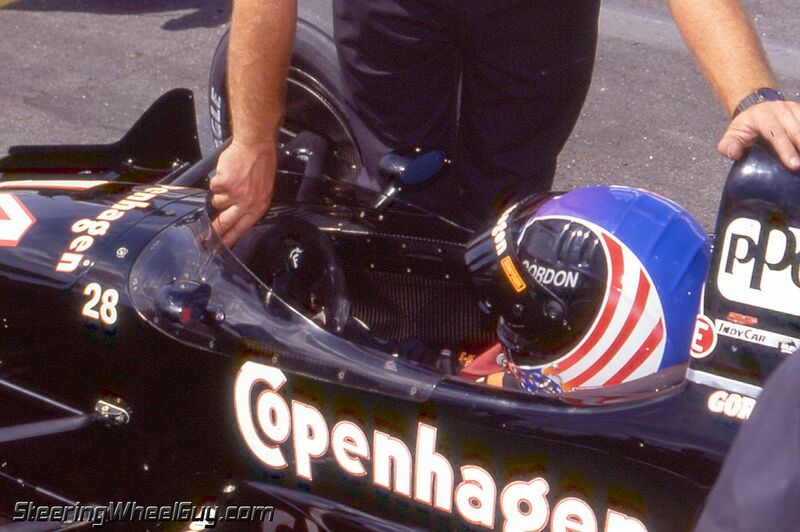 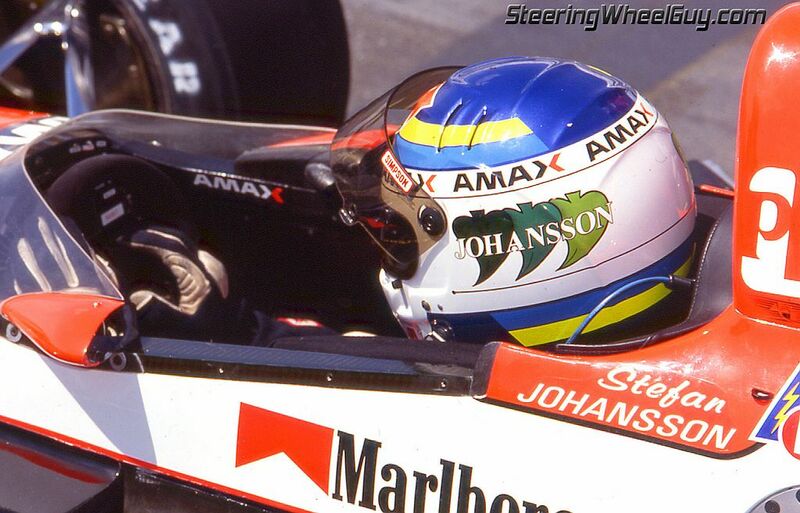 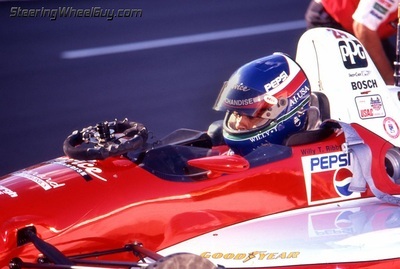 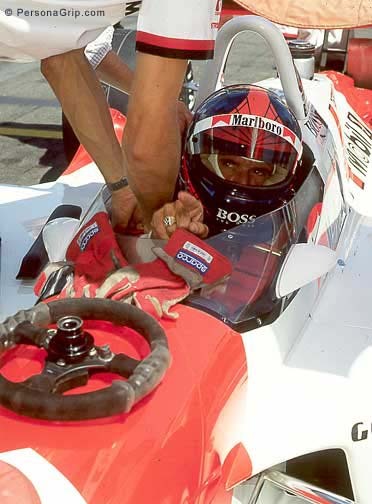 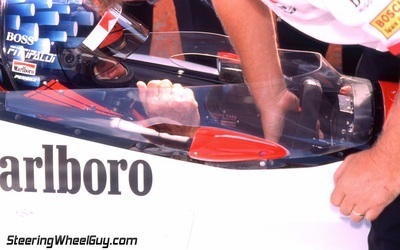 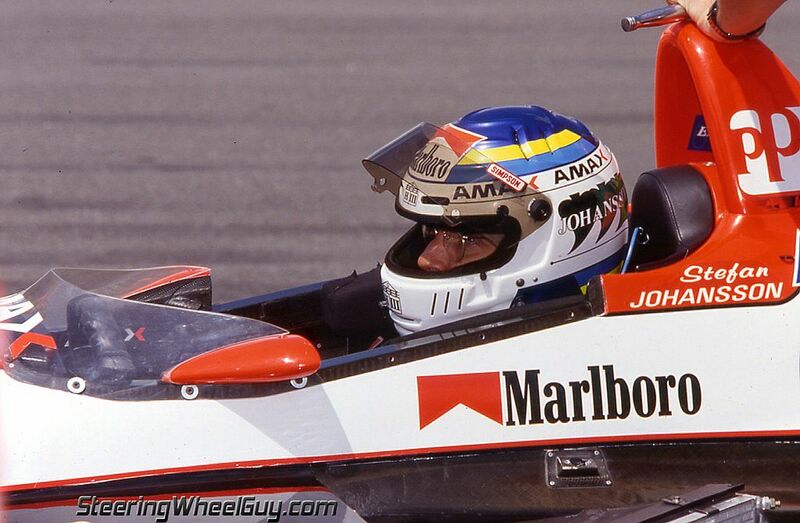 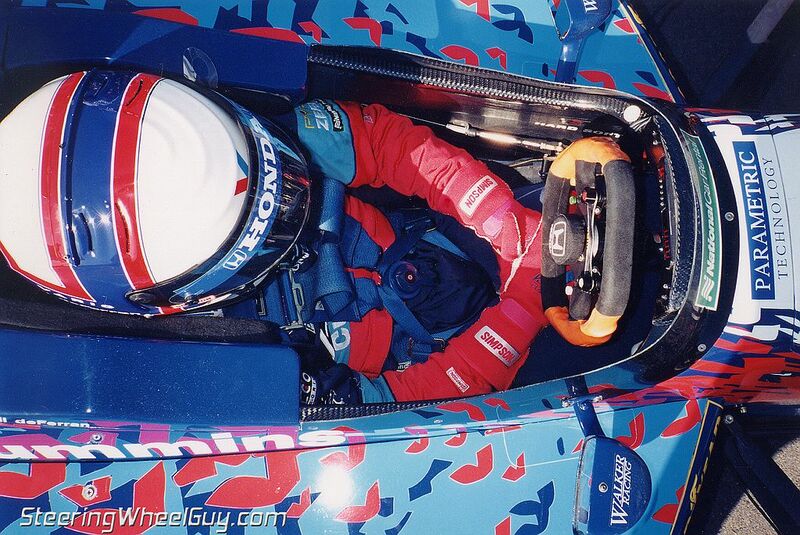 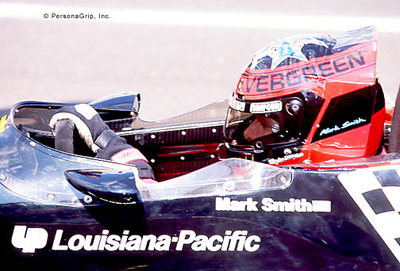 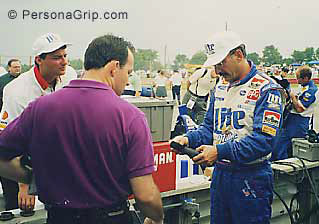 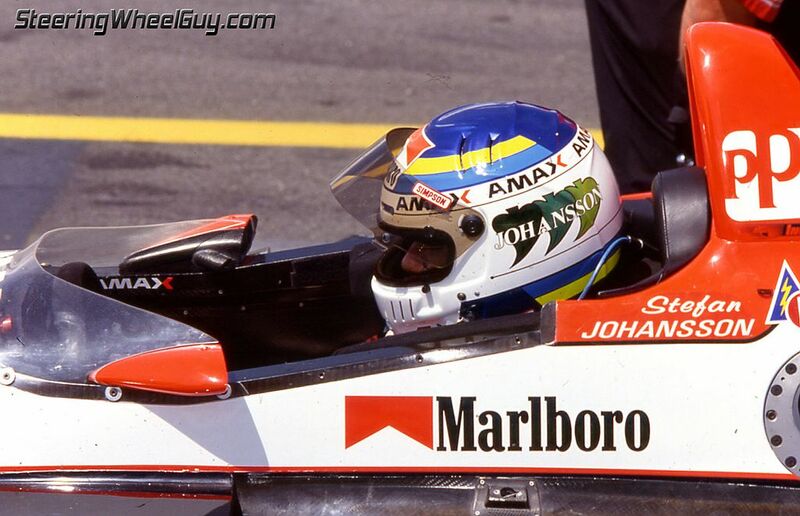 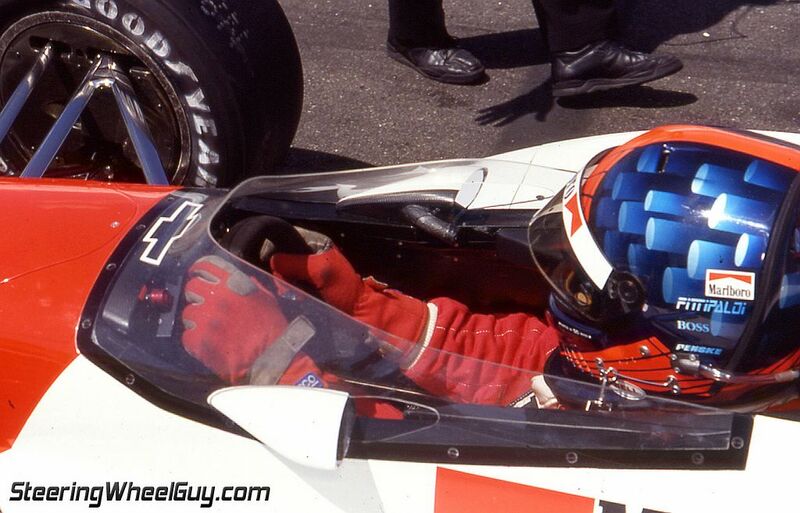 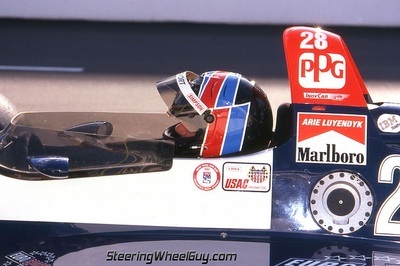 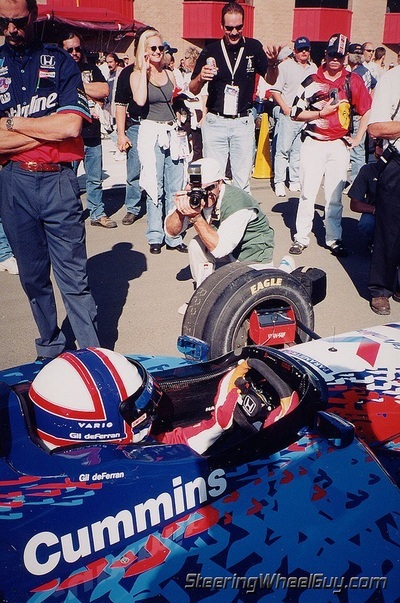 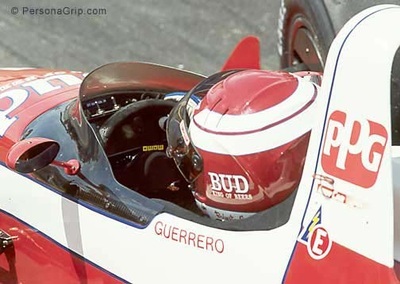 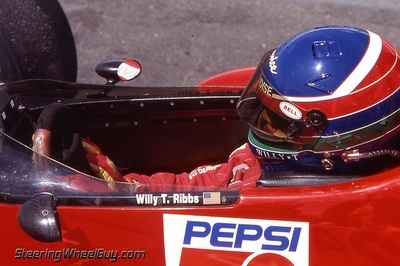 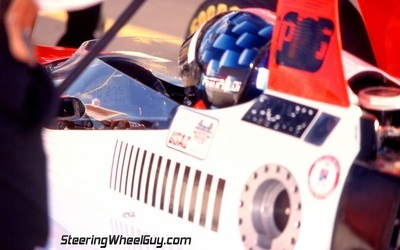 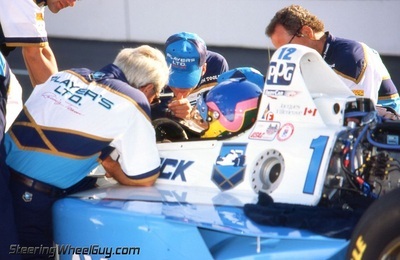 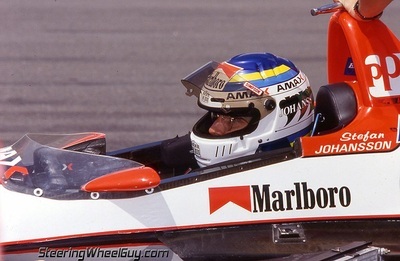 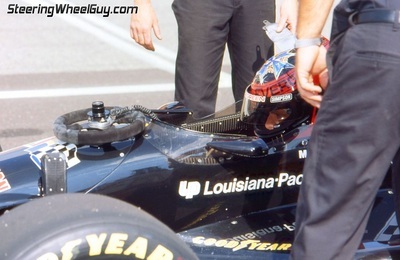 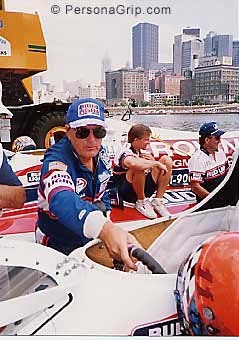 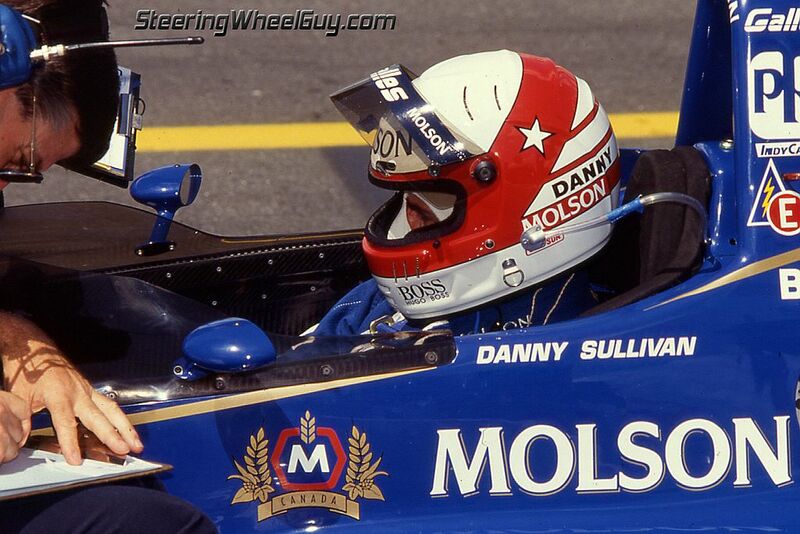 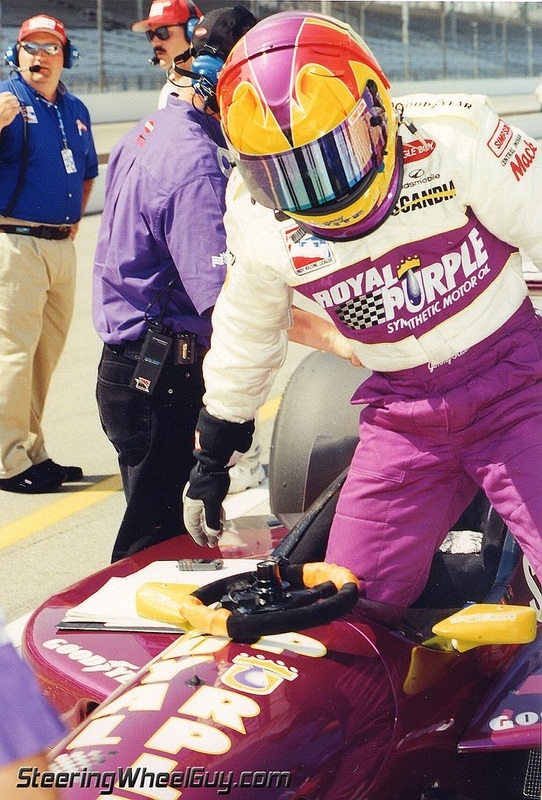 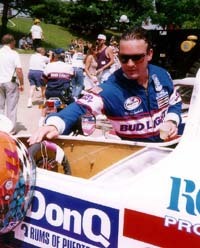 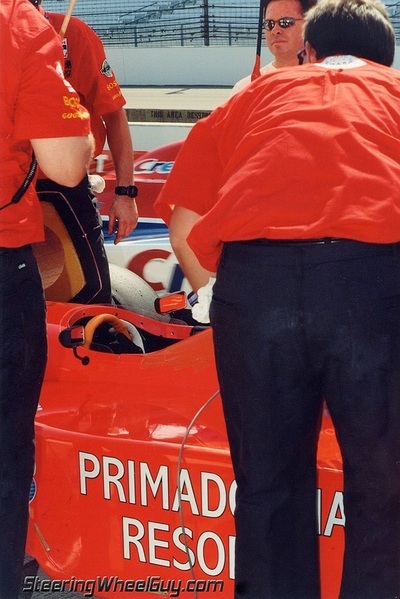 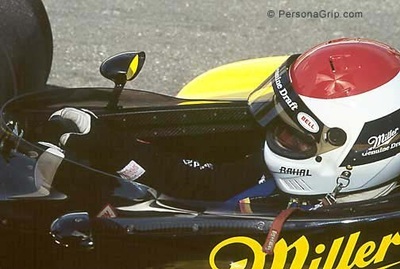 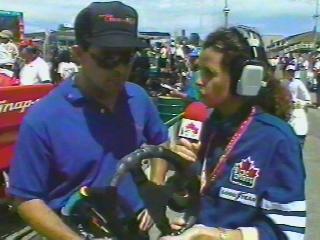 PersonaGrip's custom molded steering wheel is covered at the Toronto IndyCar race in the mid-90s. 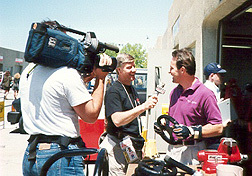 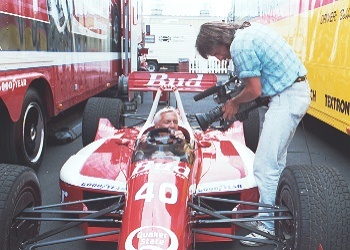 Inventor, Ed Dellis, is interviewed by Sally Larvick during the race. 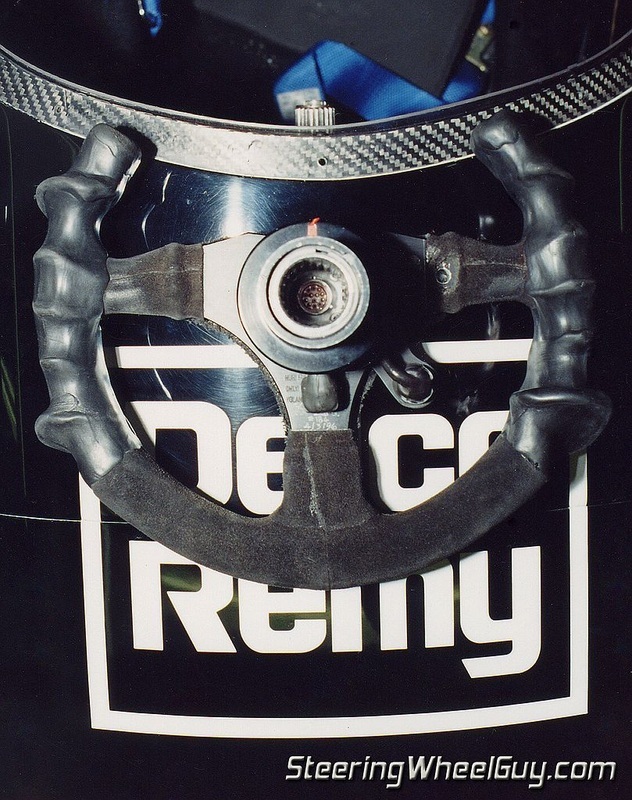 Dellis explains how the steering wheels can be remolded to compensate for injuries. 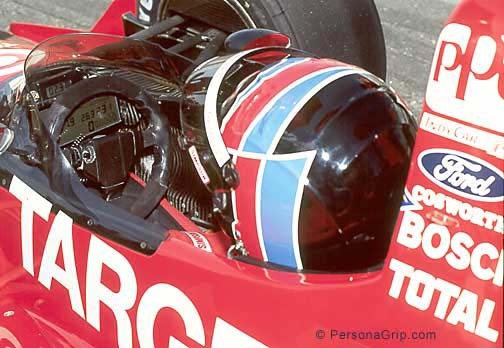 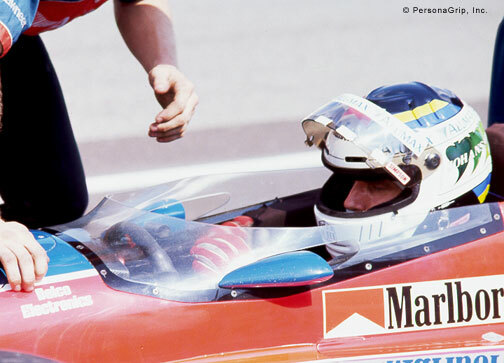 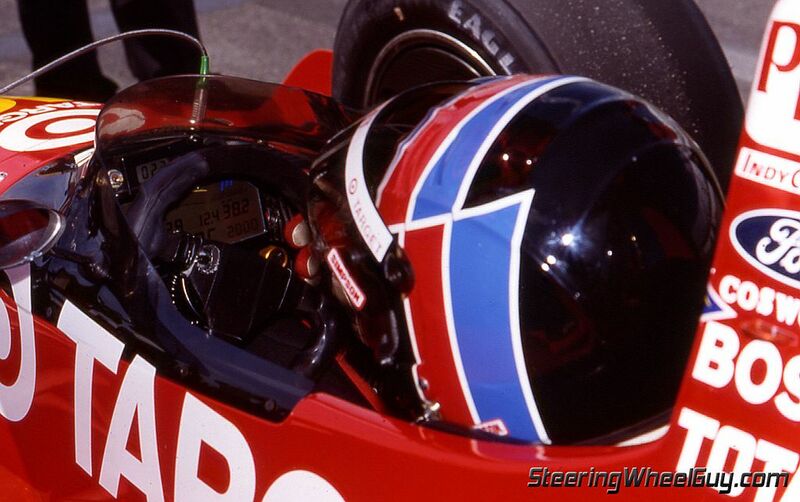 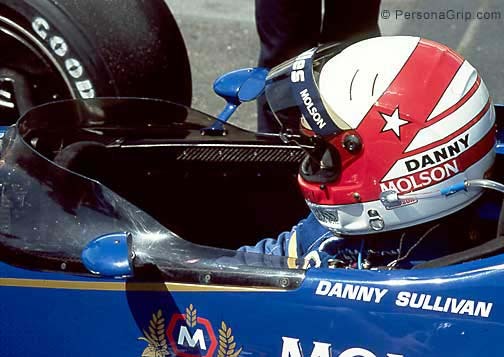 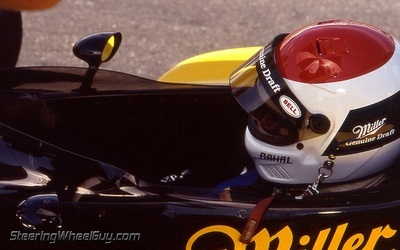 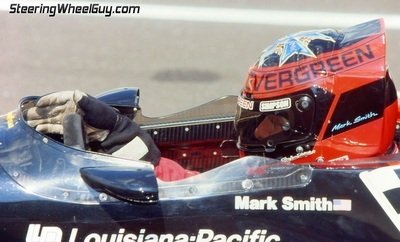 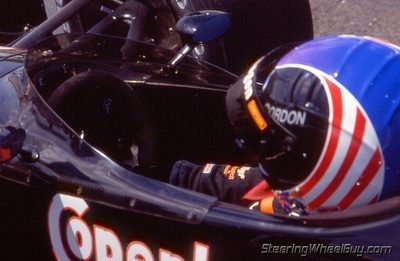 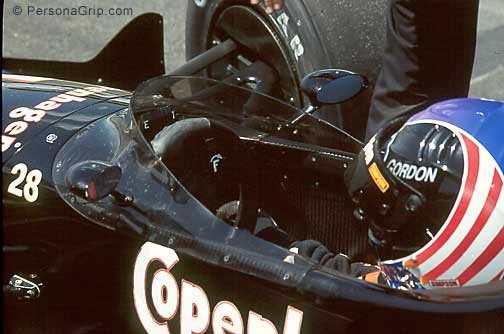 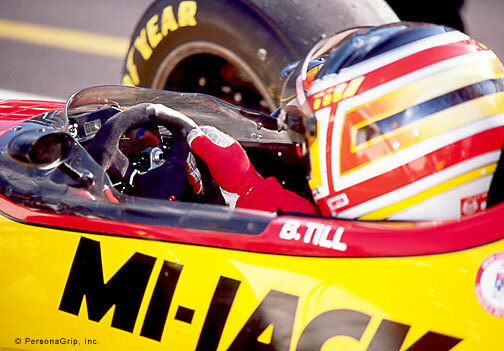 Nigel Mansell eventually won the IndyCar Championship using a PersonaGrip steering wheel for the season, but Dellis focuses on how the grip was redesigned on Stefan Johansson's wheel to reduce the pain from a sprained left wrist. 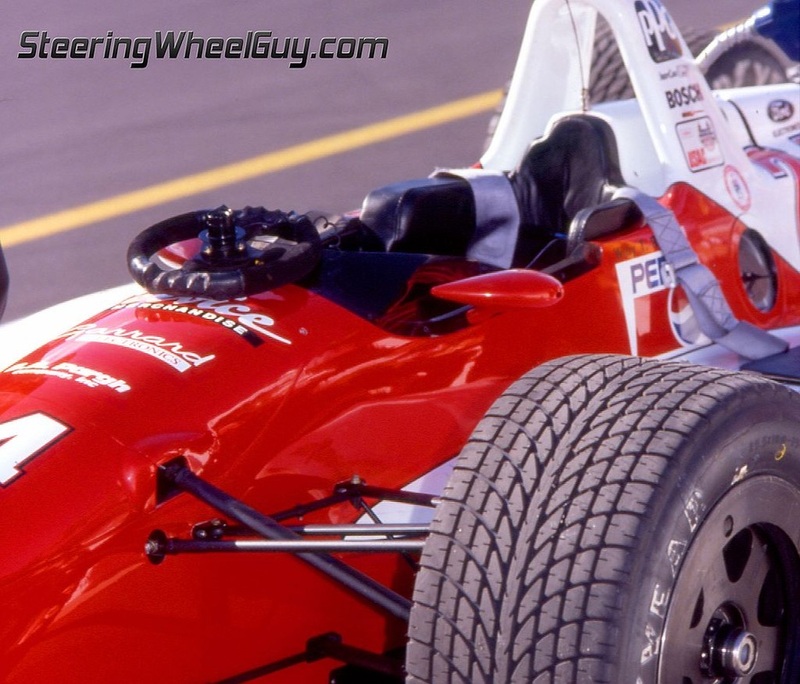 CAUTION: MOST of the designs you see in this gallery are NOT representative of the CURRENT State-of-the-Art, and merely bear witness to nearly two decades of exhaustive research and development. Having just won at the Indy 500 in '97, Arie discusses how the custom-fit steering wheel grips help reduce the steering effort, and how it helped him reach the end of the race on a rough course. 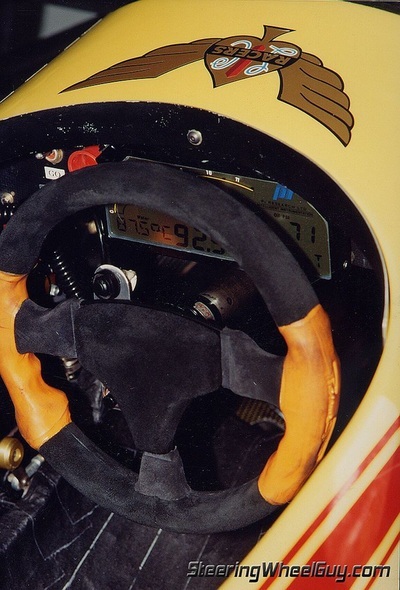 Arie feels the biggest advantage for him is on road courses...especially the rough ones where the wheel tried to kick out of his hands. The wheel shown was his fourth wheel, and shows a good shuffle-steering design where finger flutes cover the top half of the wheel and aid his particular steering technique. Arie's oval track wheels did not have this feature. 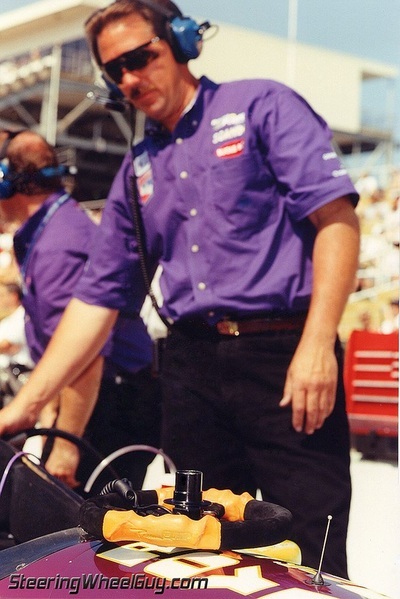 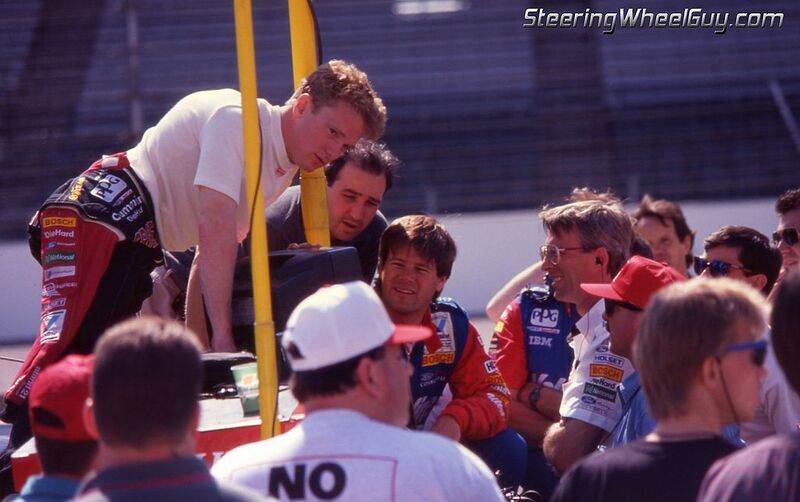 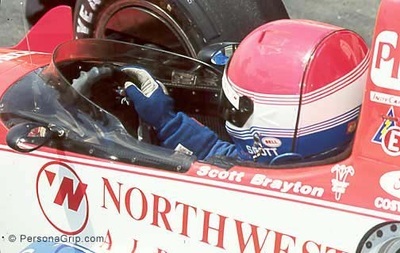 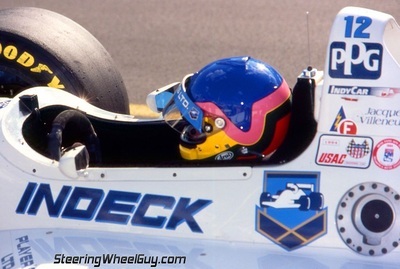 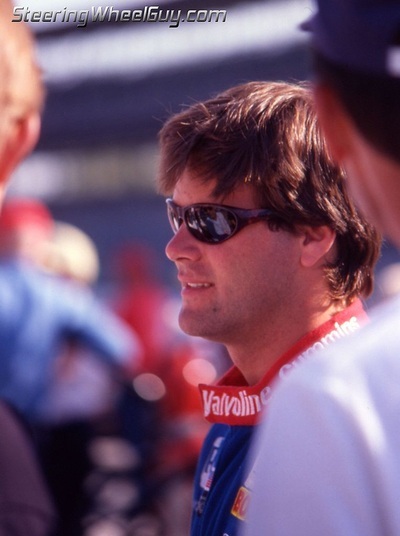 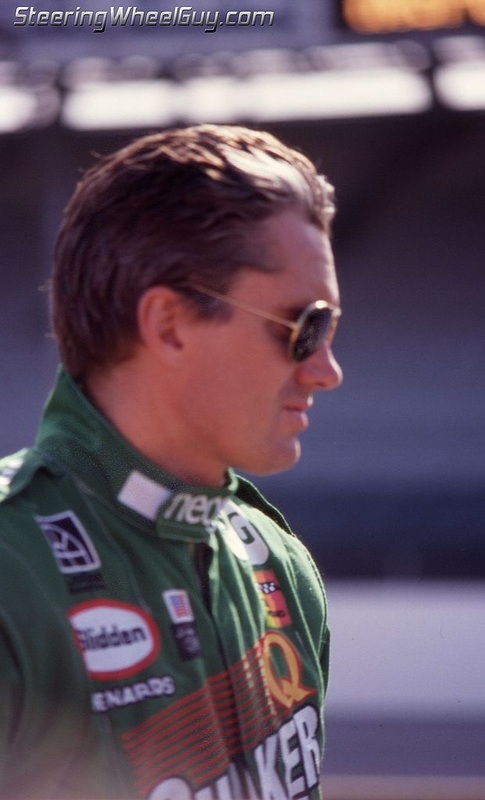 After taking the pole at the 1995 Indy 500, two-time Pole Sitter, Scott Brayton, talks about his PersonaGrip custom molded steering wheel designed for ovals. 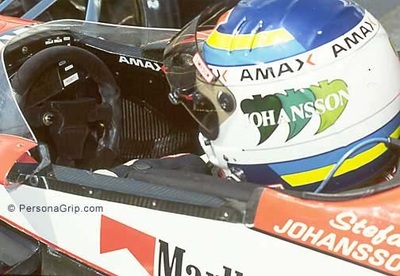 He mentions the added precision and fatigue reduction he gets from the custom-fit steering wheel. Scott also talks about the improved feedback, as well as the forearm energy- and vibration-reduction at 240 mph. 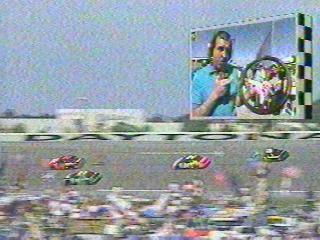 Scotty closes by thanking PersonaGrip for helping him get the $100,000 check PPG gave him for taking the pole. 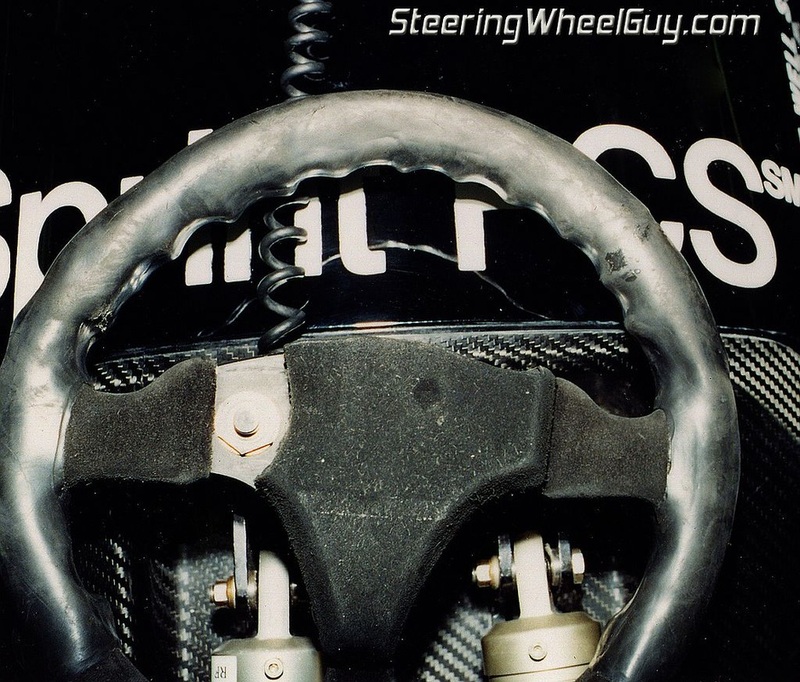 PersonaGrip's custom-molded steering wheels let drivers relax their grips so they can feel the top of the mu-slip curve easier, and drive closer to the edges of the Friction Circle. 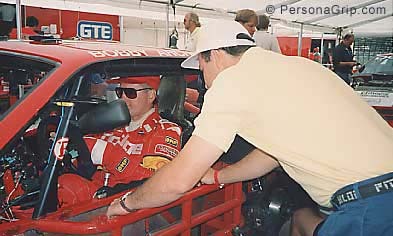 Chris McClure scoops PersonaGrip's introduction into Trans Am racing at Belle Isle in the early '90s. 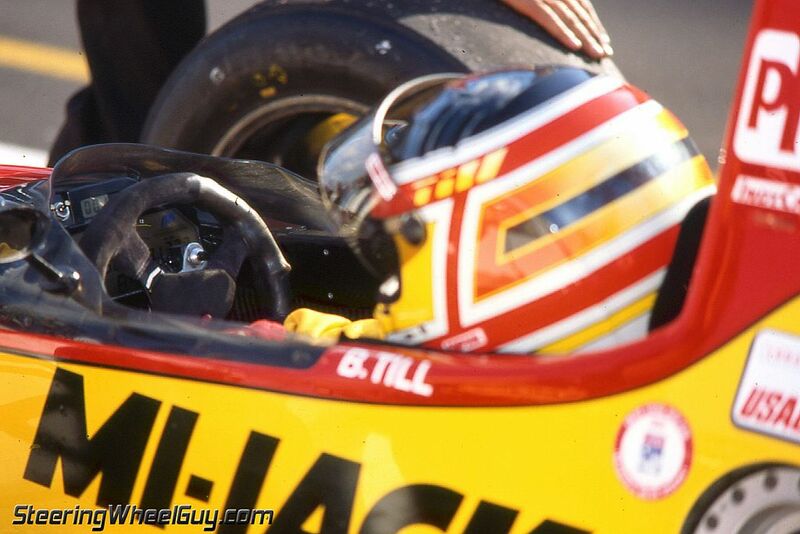 Jack Baldwin molds his first custom-molded steering wheel for the cameras. 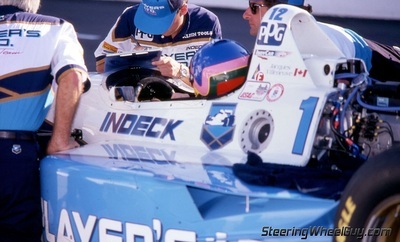 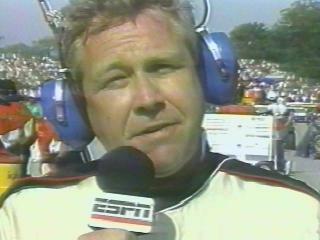 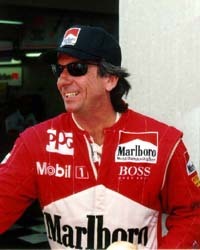 He closes by telling us that Emerson Fittipaldi was using one when he won the Indy 500 a few weeks earlier. 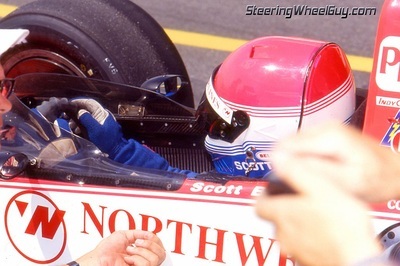 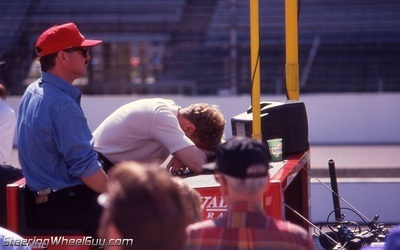 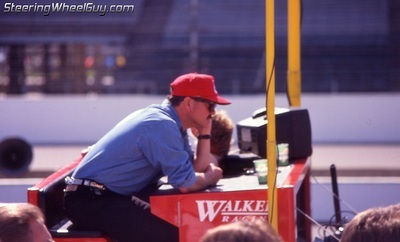 Scott Goodyear left Dellis a voice message. 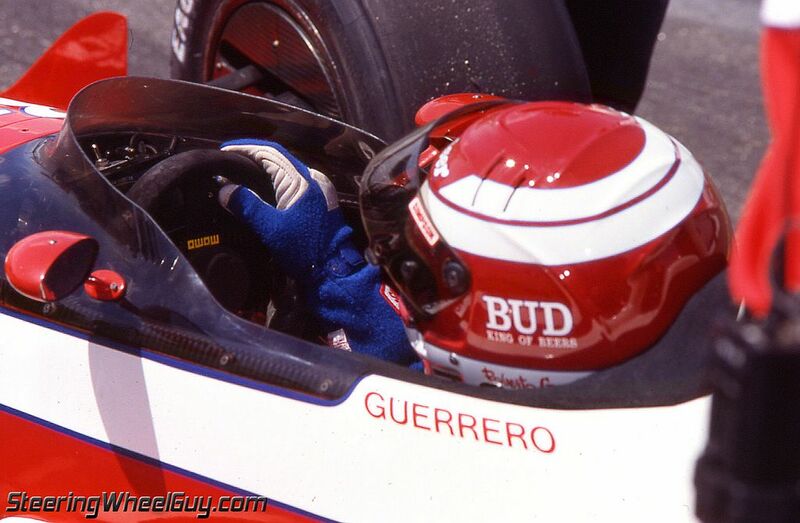 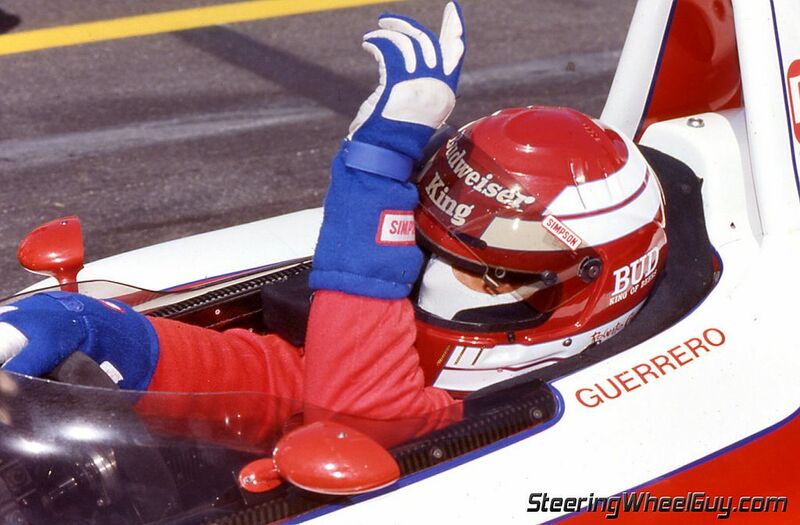 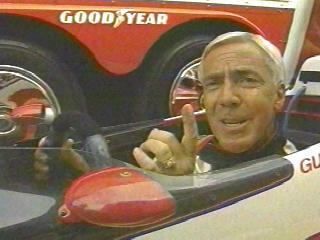 In the early '90's PersonaGrip steering wheels dominated open wheel racing. IndyCar and Formula One drivers used Ed Dellis' steering wheels to ride closer to the top of the mu-slip curve. PersonaGrip gets an ESPN Track Fact where they mention the custom molded steering wheel benefits, and how Dellis molds the steering wheels differently for races on ovals vs road courses. 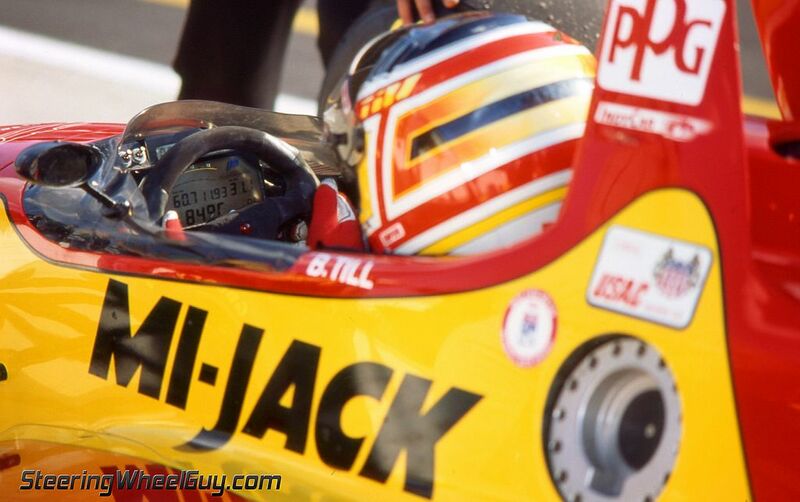 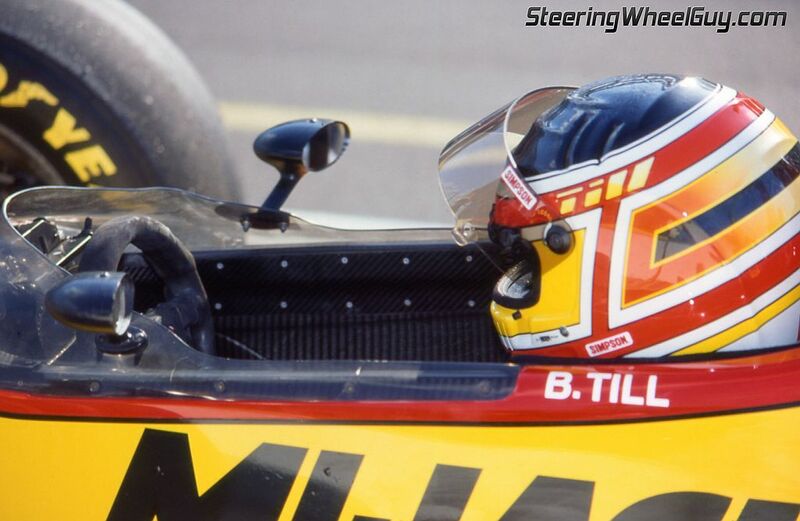 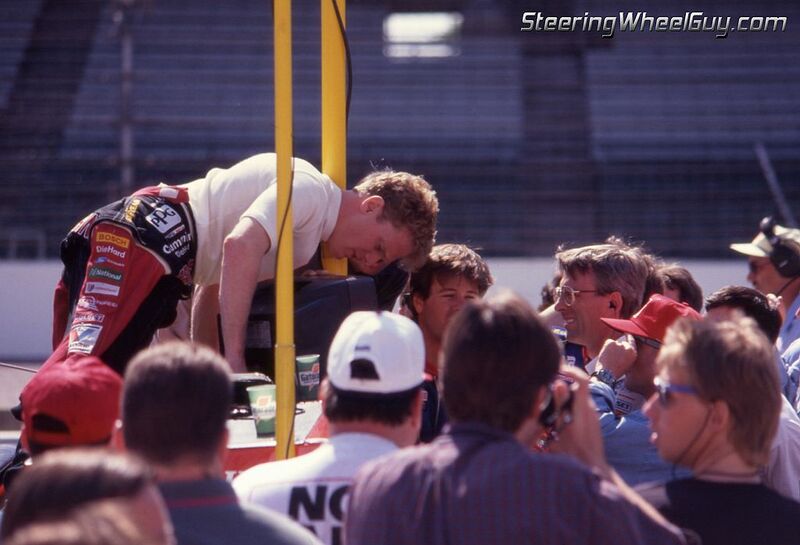 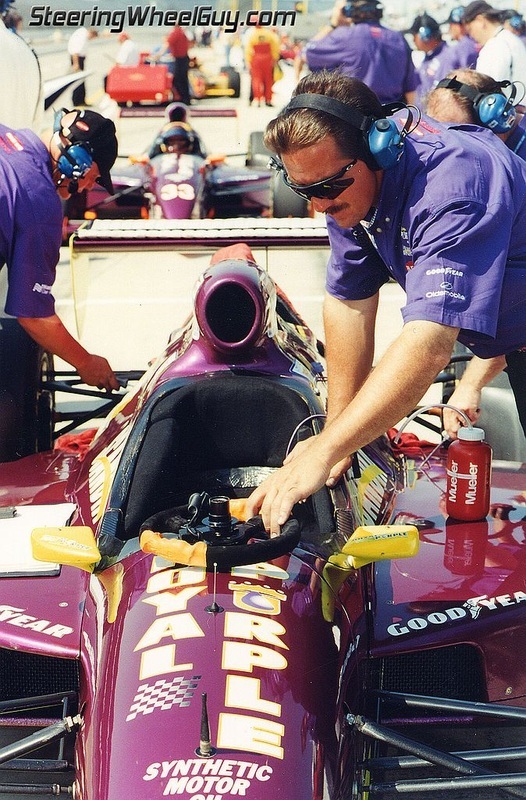 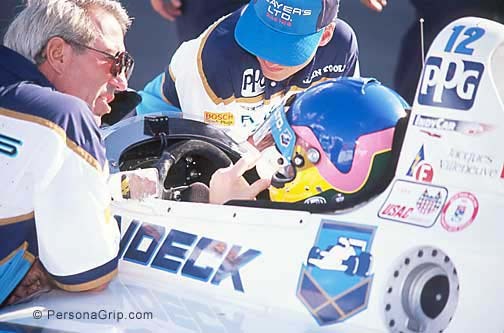 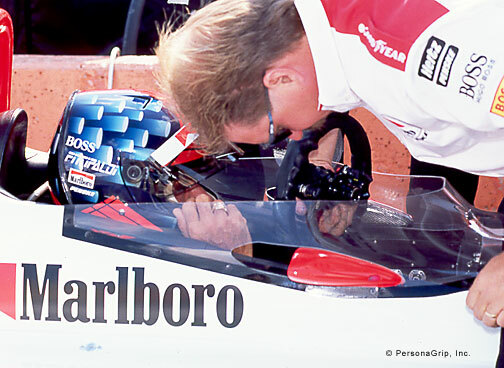 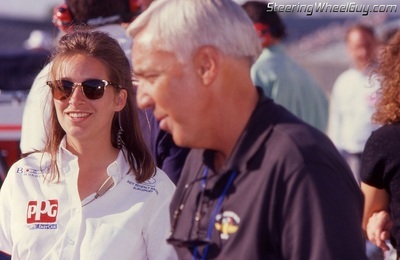 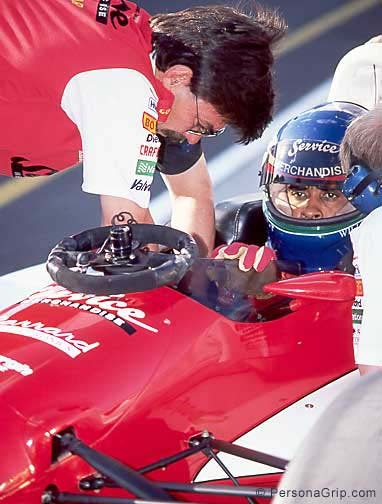 Within 18 months of PersonaGrip's introduction at the 1993 Indy 500, over 2/3rds of the IndyCar drivers were buying Dellis' custom molded steering wheel technology. 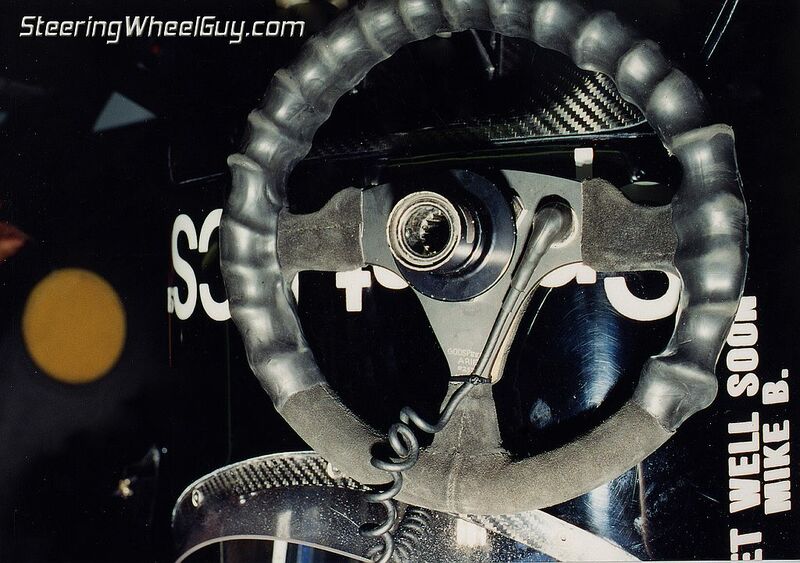 As of 2018, 822 serial-numbered custom steering wheel grips have been made by the inventor himself in IndyCar, NASCAR, Formula One (cars and boats), Trans-Am, ALMS, Unlimited Hydros, and other racing venues worldwide. 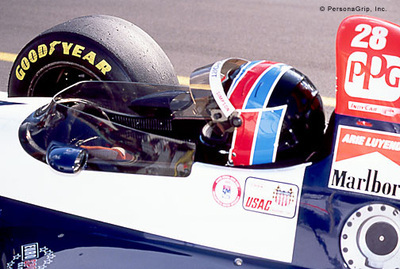 David Hobbs talks about vibration reduction and reduced grip effort with custom-molded steering wheels using PersonaGrip at the Daytona 500. He alludes to Vibration Induced White Finger (VWF) from holding onto a vibrating steering wheel...a condition that doesn't happen when PersonaGrip's custom molded steering wheels are used properly. 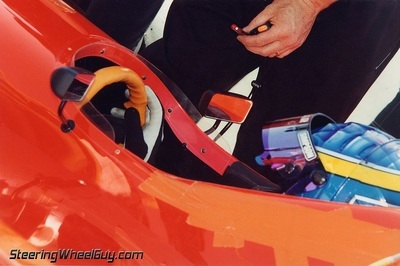 He accurately mentions a reduction in grip effort as "half as hard" that was later proven to be 54% less effort with EMG testing.